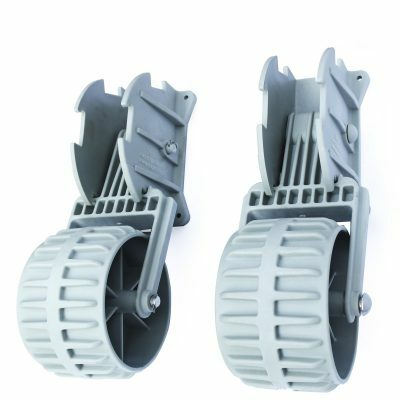 Dinghy Launching wheels – Auto Locking for safe deployment on beaches and slipway. 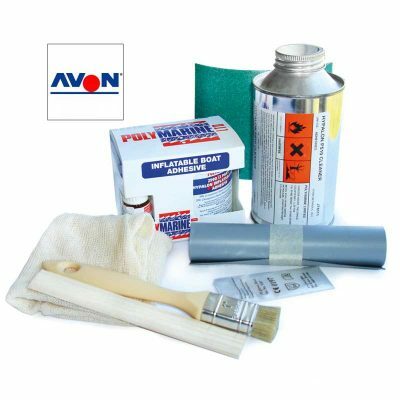 For inflatable boats and dinghies with a transom. 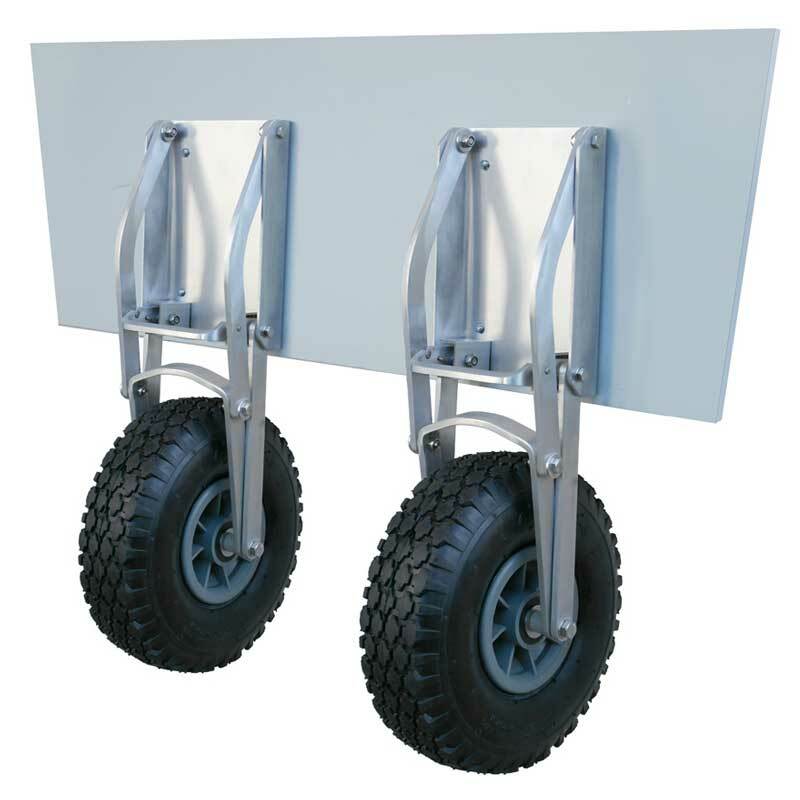 The wheels easily lift up out of the water to self lock when upright and drop down to click into the auto locking position for recovery from the water and launching off the beach or slipway. 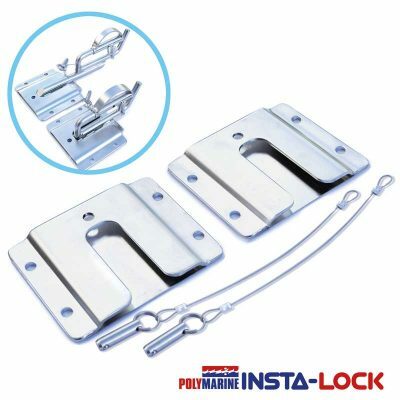 For inflatable boats and dinghies with a transom. The wheels easily lift up out of the water to self lock when upright and drop down to click into the auto locking position for recovery from the water and launching off the beach or slipway. Self contained with no fiddly bits to misplace. 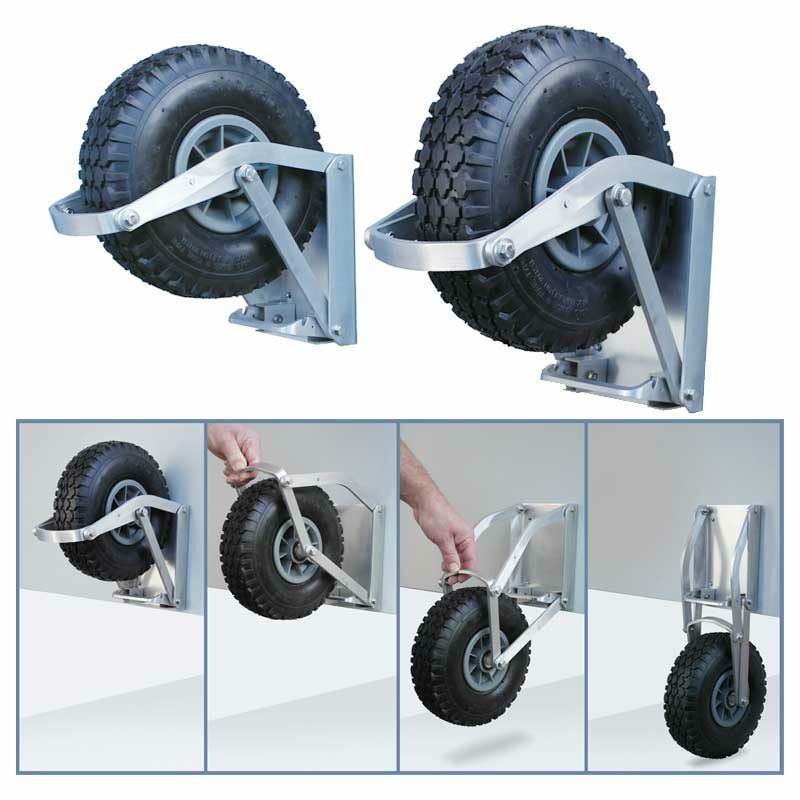 Wheel extends to 30 cm below bottom of the plate when down and 11 cm above the top of the plate when up.